We will be upgrading, moving webhosts, and changing our look this this weekend. So we may be down at times this weekend. 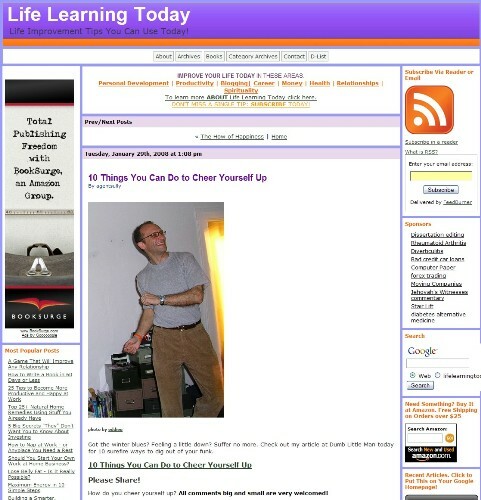 8 Responses to Life Learning Today Gets a Makeover This Weekend. The new template is great! The only thing I would say is that the purple gave your blog a character.. maybe you can have that back by changing the color of the top-most border/bar (currently red) thingy? Thanks. Glad you like it. I just changed the top border color to purple. I was trying to figure it out and finally got the answer! I love the big pictures that goes with the posts too.. keep it up.